Service learning students in my Cultural Diversity in Healthcare course work with community leaders, nurse volunteers, and TU graduate nursing students to help promote health education and services that include health screening sessions, health fairs, and health education. Each semester, health promotion sessions and a health fair are organized and implemented at the Goodnow Community Center. Located in the Frankford neighborhood in Baltimore City, the Goodnow Community Center provides a variety of academic, recreational and enrichment activities that promote respect, honesty, cultural diversity, civic responsibility and teamwork. 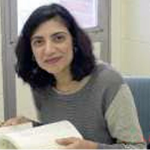 I began a new partnership with the center in 2015 through the service-learning course. The TU Department of Nursing now has an MOU with the Goodnow Community Center. The goal is to provide sustainable health promotion services to the under-served communities in Baltimore City. There is a high potential for expanding on much-needed services for the community residents through neighboring service and education organizations and institutions. 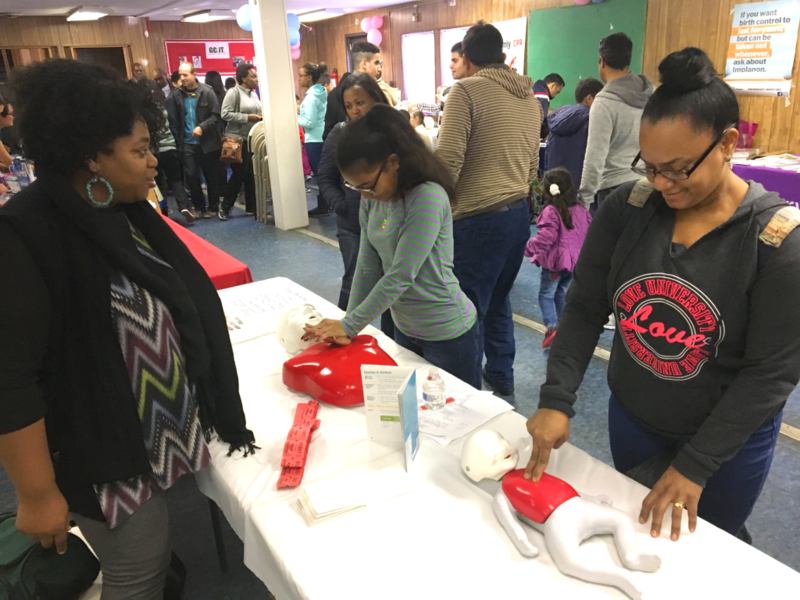 Community members at a recent health fair at the Goodnow Community Center. To recognize the role of family and community in addressing cultural health, including religious and spiritual influences on health and healing practices. To develop skills for cultural competency in communication and working with community partners. To identify health care approaches for the vulnerable or marginal populations and apply service to the selected community in a culturally competent health practice framework through their coursework assignments. To assist in building a sustainable program through student involvement and reciprocity. My students and I have been invited every year to the center to provide health promotion education and health screening for community residents. Health provider volunteers perform a general health assessment, such as measuring blood pressure, checking weights and blood glucose monitoring as appropriate. 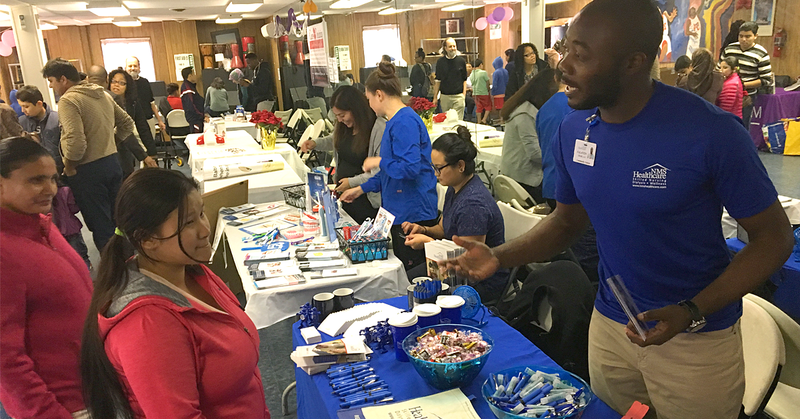 During special events such as health fairs, physicians, dietitians, pharmacists, opticians volunteer their services to consult with clients that are served at the center. TU students’ work includes planning the health service events, developing teaching tools, helping with setting up and closing the sessions, distributing session fliers to the targeted community, and assisting during the events and evaluation phases. 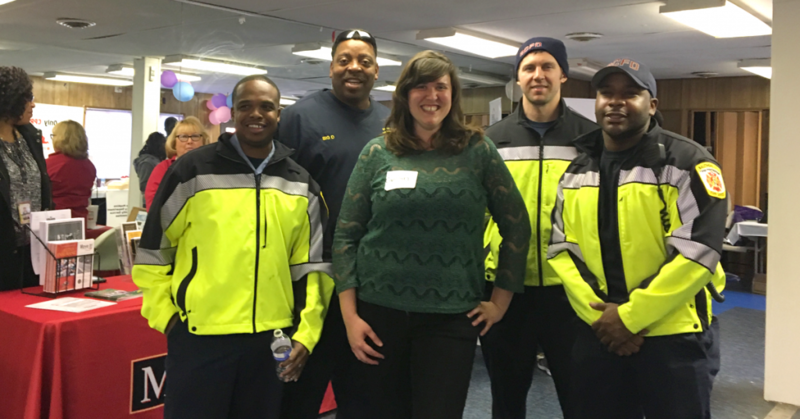 Volunteers at a recent health fair at the Goodnow Community Center. Service-Learning models offer critical thinking, communication, teamwork, civic responsibility, and cultural knowledge through reciprocity. Through community-based participatory action approach, free annual health fairs were held in the past four years. Local under-served communities received health education sessions for the community on improving knowledge related to the risk factors of commonly occurring diseases—cardiovascular disease, hypertension, and Type 2 Diabetes—through culturally and linguistically appropriate health education and interventions. As a result of this partnership, over 500 men and women from diverse ethnic populations such as Congo, Eritrea, Nepal, Somalia, Sudan, and Syria, have been served and Towson University graduate and undergraduate students have served as volunteers.